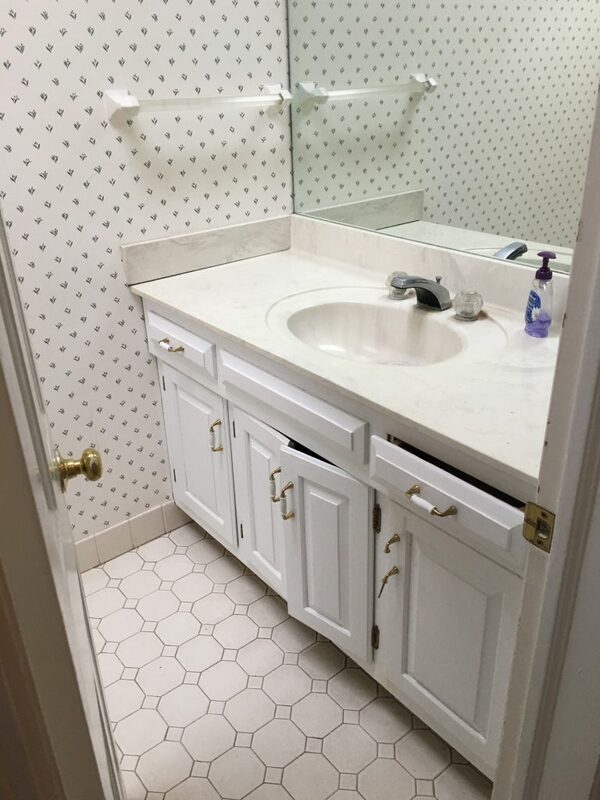 Our team at Monk’s Home Improvements completely revamped this home’s powder room in only one week. All new fixtures were brought in to update the space. The entire bathroom was designed through our kitchen and bath design studio; all fixtures were purchased through Monk’s as well. All of the powder room’s existing wallpaper was carefully removed. New granite countertops were brought in. Our team of skilled carpenters built in baseboards. New faux wood porcelain tile was installed for the new flooring. Faux wood tile is an increasingly popular choice in bathrooms, as it provides the aesthetic of a wood floor, with the ease of cleaning provided by porcelain. 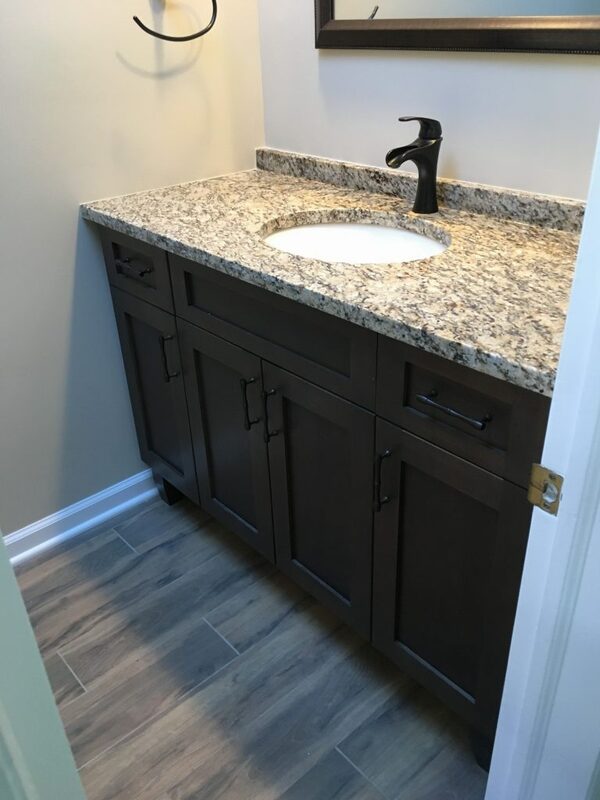 An elegant vanity with a granite top was installed, as well as a new toilet. A framed mirror helped give the bathroom a more complete look. In only one week our team at Monk’s had completely transformed and upgraded this home’s powder room.